Our brand new winter coat is here - The Winter Paw! Constructed with a high-tech, low impact soft-shell that is waterproof, windproof, and non-toxic. We added all the features: a long, ear covering collar, openings for harnesses and for collars, super cozy fleece lining, reflective piping, plus our practically magical SwiftLock magnetic buckle on a stretchy webbing belt. 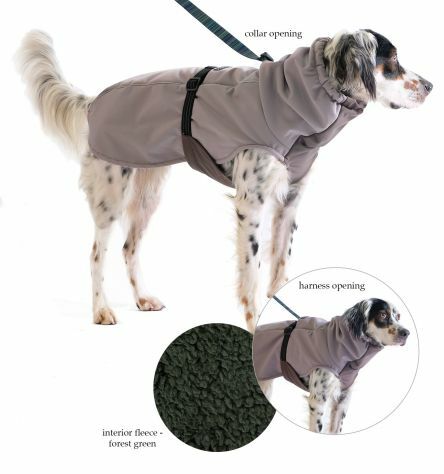 The result is a beautiful blend of dog comfort and weather protection. Recommended For: Outdoor wear, wet weather, cold weather.